Highest Security - How do I make my DocbookMD the most secure? 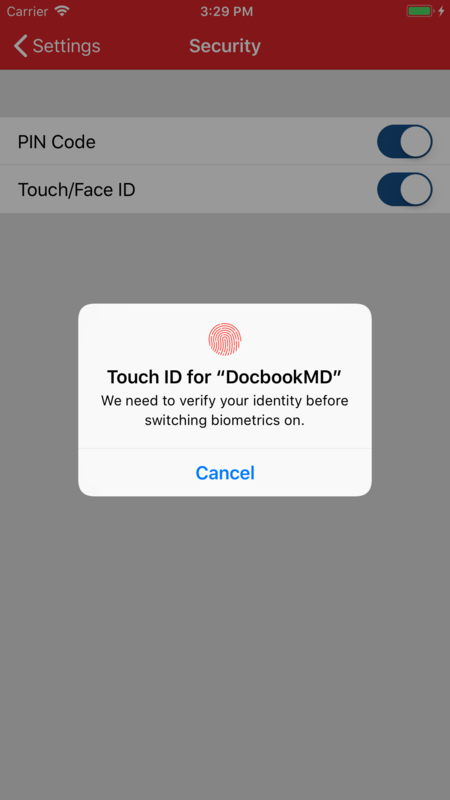 To make your DocbookMD account as HIPAA-secure as possible, we recommend that you enable a Personal Identification Number (PIN) lock within the app and also enable a PIN lock (or Biometric ID) on your mobile device. This will effectively allow you to have two authentication methods (one on your phone, and one in DocbookMD), allowing the highest security possible. 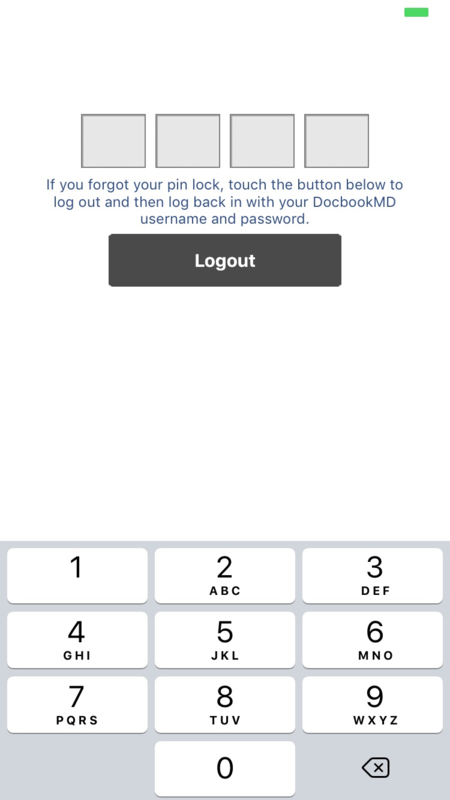 To enable a PIN lock within DocbookMD, Go to the Menu on the left, then Settings, and Security. Toggle the Lock App with PIN switch to the On position. 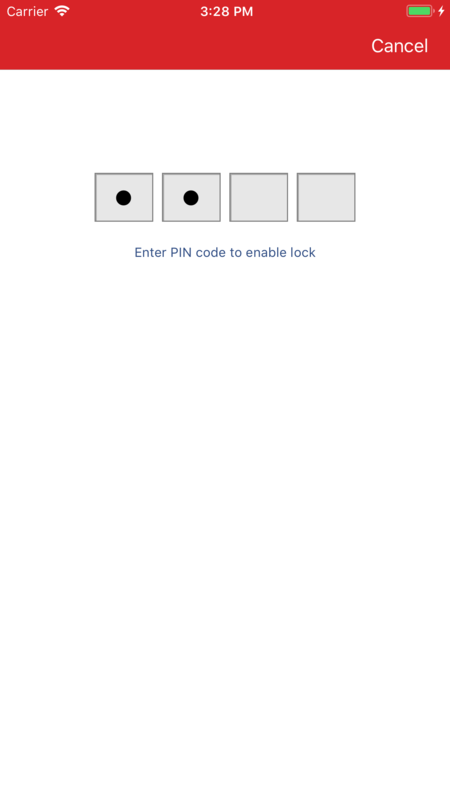 Create your four digit PIN. From now on, whenever you open the app, you are required to enter your PIN. 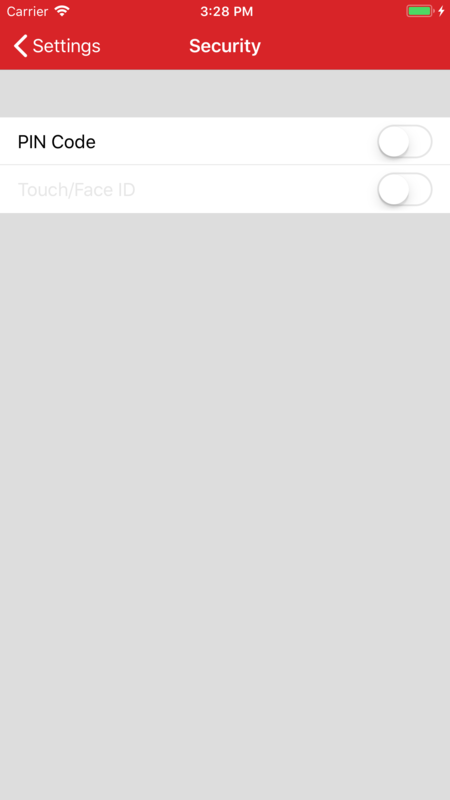 To enable Biometric authentication, toggle the Touch/Face ID slider and step through the process to validate the authentication. If you leave your mobile device sitting around and someone picks it up, your PIN or Biometrics will keep your device secure.